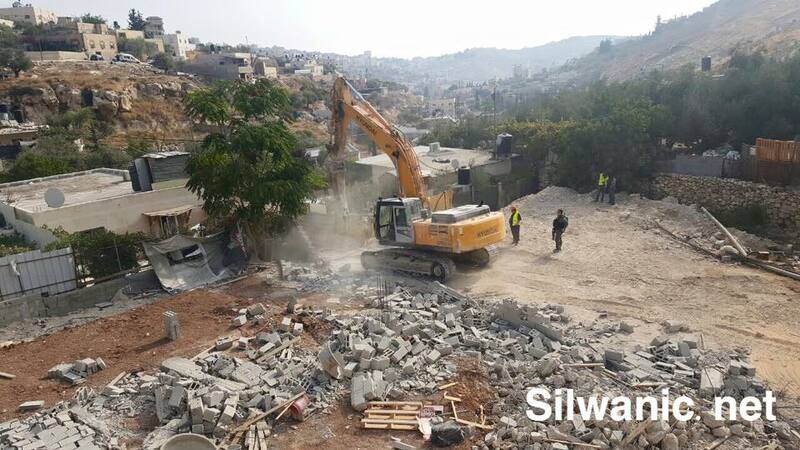 Israeli occupation’s bulldozers demolished commercial shop in Ein Al-Lozeh neighborhood in Silwan in the city of Jerusalem without warning and under the pretext of building without a permit. The soldiers beat the citizens, and assaulted them with sound bombs, rubber bullets and pepper gas and arrested three young men. 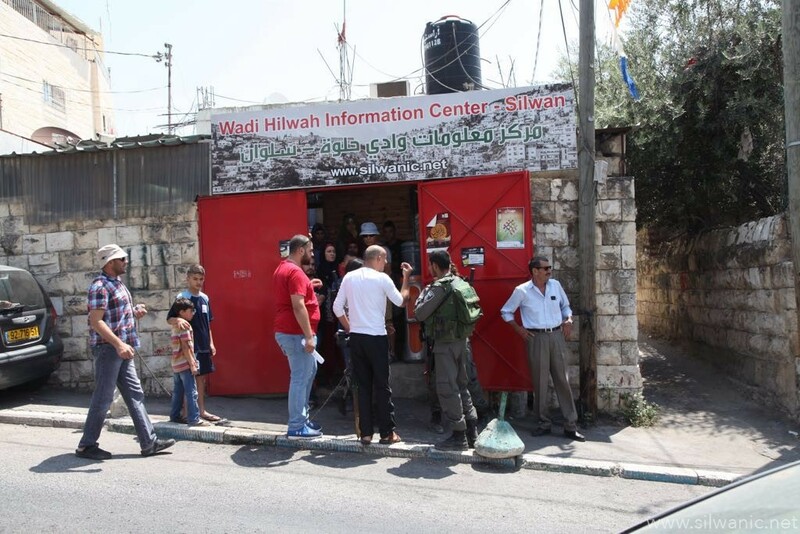 Wadi HilwehInformation Center/ Silwan explained that the occupation forces violently assaulted the citizens of Ein Al-Lozeh neighborhood, beat them, fired sound grenades and rubber bullets, and sprayed them with pepper gas. 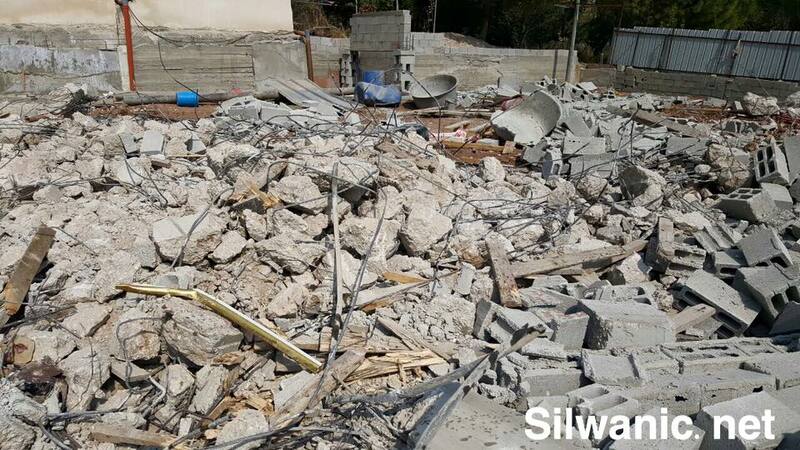 The center added that the Israeli occupation forces deliberately hit all the women, children, the elderly, and the paramedics, and targeted the medical center in the neighborhood with bombs and rubber bullets and tried to break into it. 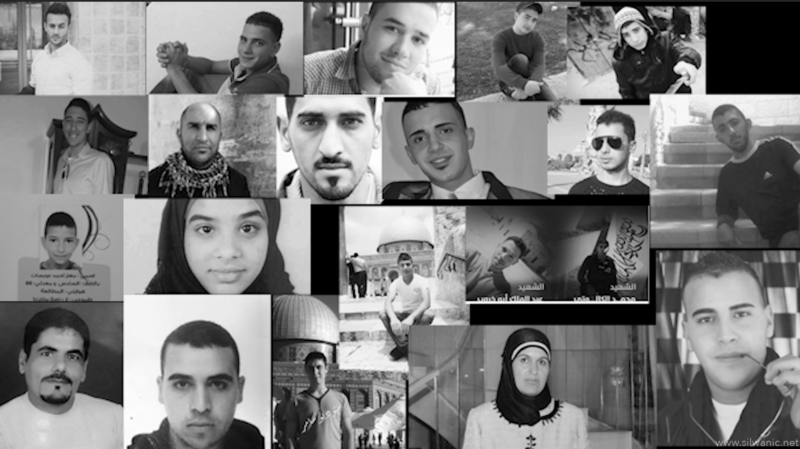 The medical director at the center, Dr. Haitham Yaghmour, said that eight injuries were reported to Ein Al-Lozeh medical center, as a result of assaults by Israeli soldiers. 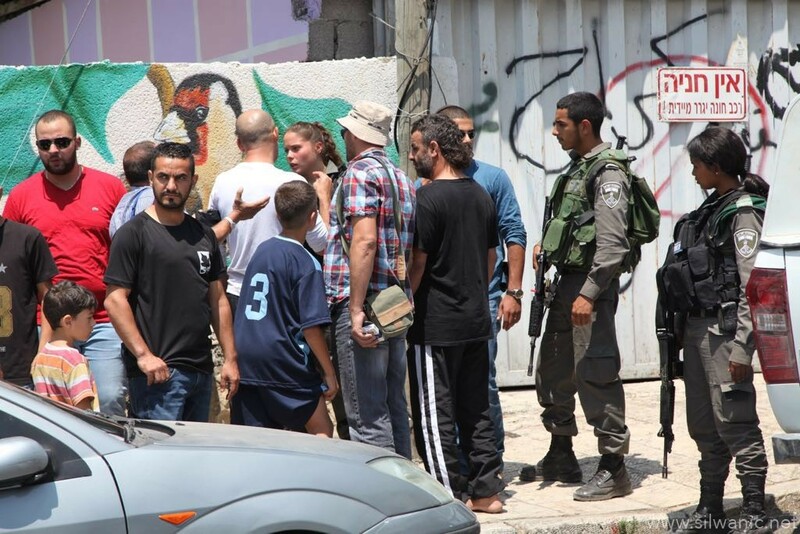 There was on injury in the hand by a rubber bullet, suffocation injuries, head and neck injuries." Dr. Yaghmour explained that the soldiers fired grenades at the center, coincidentally with the presence of pregnant women who were following up with the female doctor, wounding three of them; they were referred for treatment in the hospital. The center pointed out that many young men were wounded, especially in the back and limbs. 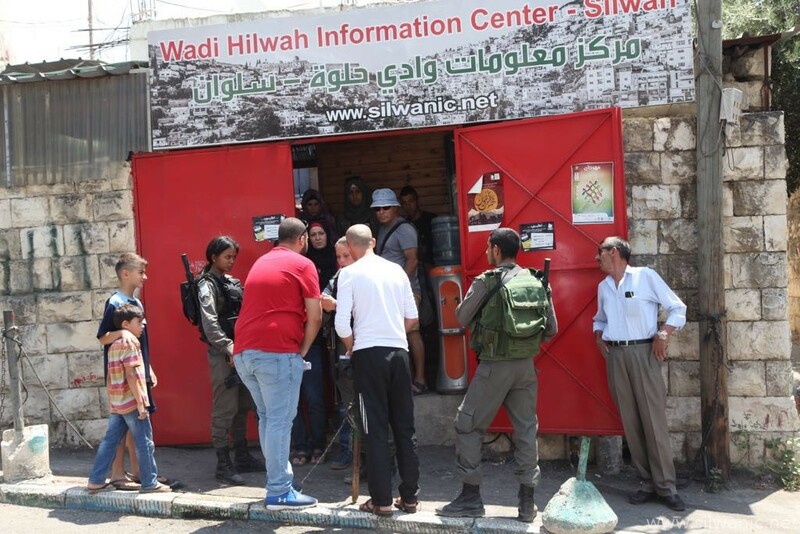 The occupation forces also arrested Ahmed Sumrein, 46, Tarek Rweidi, 23, and Izz Al-Din Sumrein, 30, after they were assaulted and severely beaten. 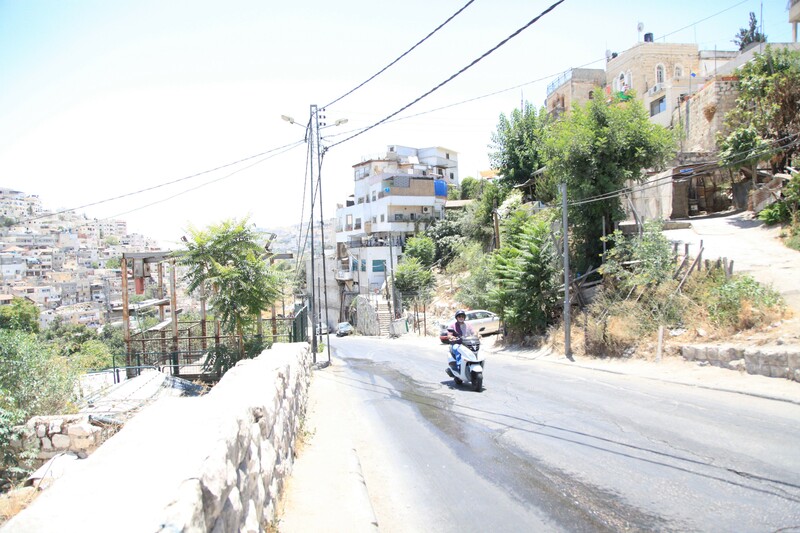 Omar Awni Siam explained that the facility was established 15 years ago and was built with the approval of the municipality after opening a street in the neighborhood on the lands of the citizens. Claiming that the establishment is not licensed is incorrect. He said: "I tried to present the paper confirming the municipality's approval to build this facility. 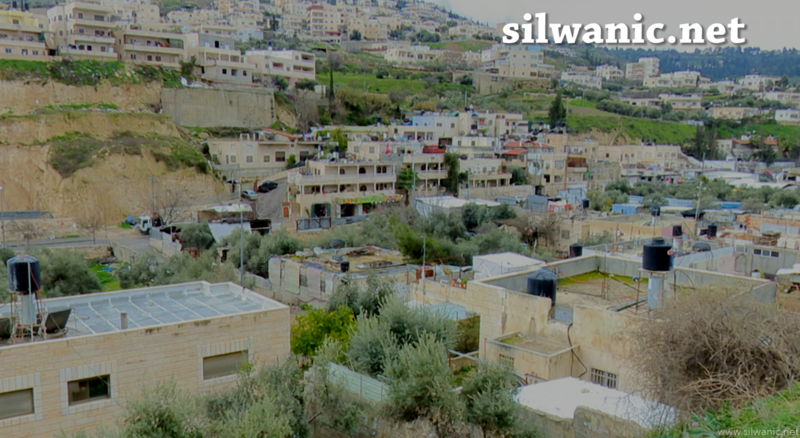 However, the forces and the municipality rejected this and insisted on the demolition”. 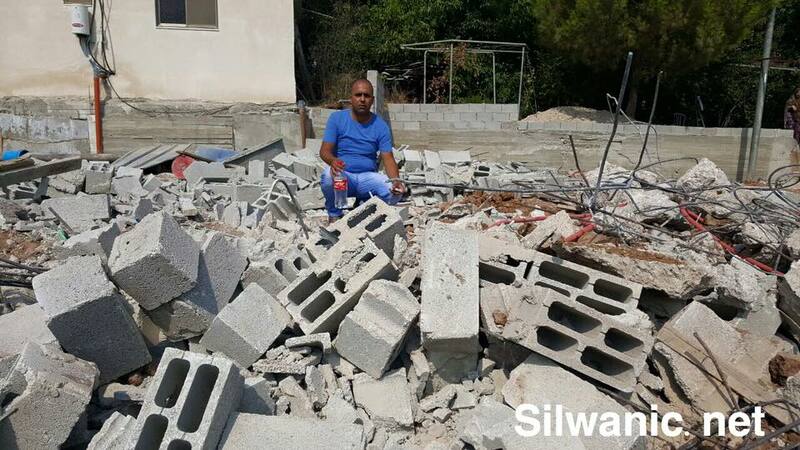 He explained that the municipality issued the demolition order on 8/8/2018.He reached the municipality through his lawyer to object to the decision, explaining that it is licensed, and until today the lawyer or the owner of the establishment did not receive a response to the objection. The demolition was executed without warning. Siam added that the facility was leased to Sumrein family, and used as a printing press, with an area of ​​about 90 square meters. 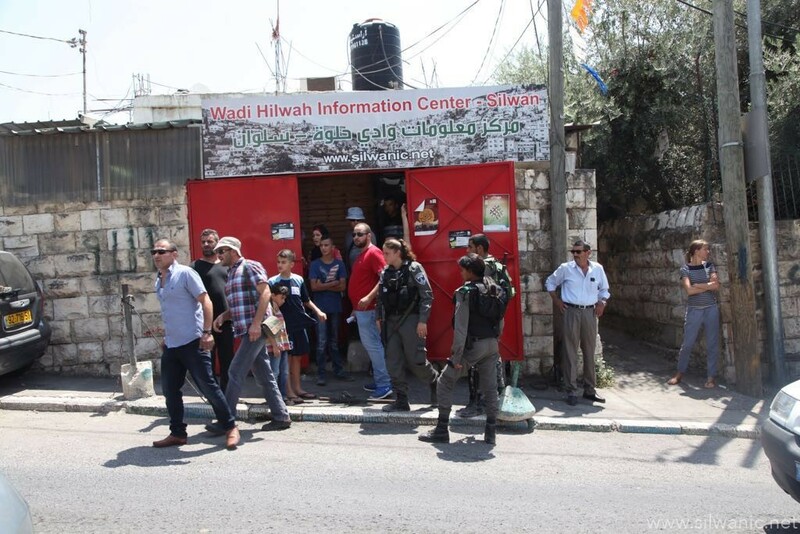 The information center said the occupation forces and municipal staff stormed the neighborhood of Ein Al-Lozeh and were heavily deployed around the press. The bulldozer then damaged the main gate and stormed the press without the presence of its owner. 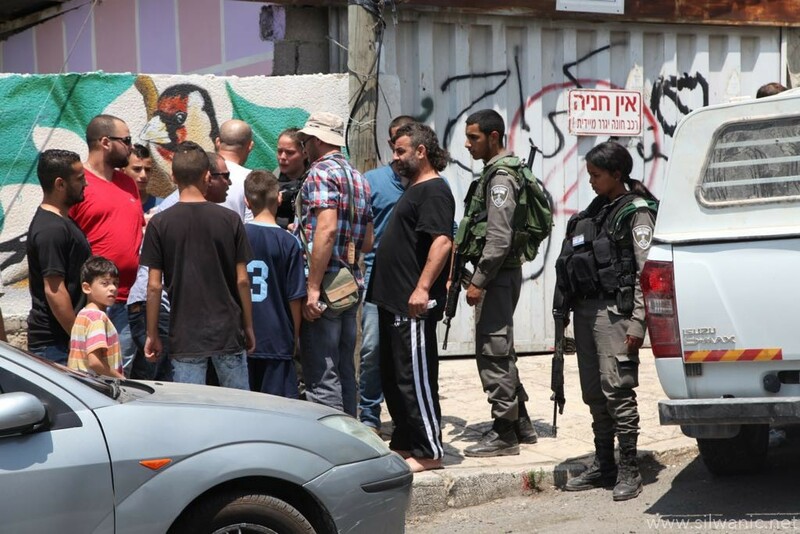 Upon the arrival of the owner and Sumrein family, they were not allowed to approach the facility and empty the contents.